The flooding and devastation caused by Hurricane Harvey will affect Houston and greater Texas for years to come. As people slowly begin to return to their homes and rebuild, prosecutors in Harris County and the surrounding areas have already pursued looting charges against 14 people, according to media reports. However, is there a difference between looting for material gain and looting for survival? If you’re charged with “stealing” bottled water or groceries because you’re desperate and starving, does the law allow any leniency? A natural disaster like a severe hurricane often forces courts to examine the individual and unique circumstances of a case and the environment in which it occurred. Just a handful of states have specific laws that address looting. In most states, prosecutors turn to theft statutes to pursue charges against individuals charged with looting. Most people tend to make a distinction between “theft” of things like food items, water, and first aid supplies versus breaking into an appliance store and making off with plasma televisions and expensive electronic equipment. The first items likely have little monetary value; the second are unrelated to basic needs, such as food and water. Unfortunately, police may arrest people first and ask questions later. 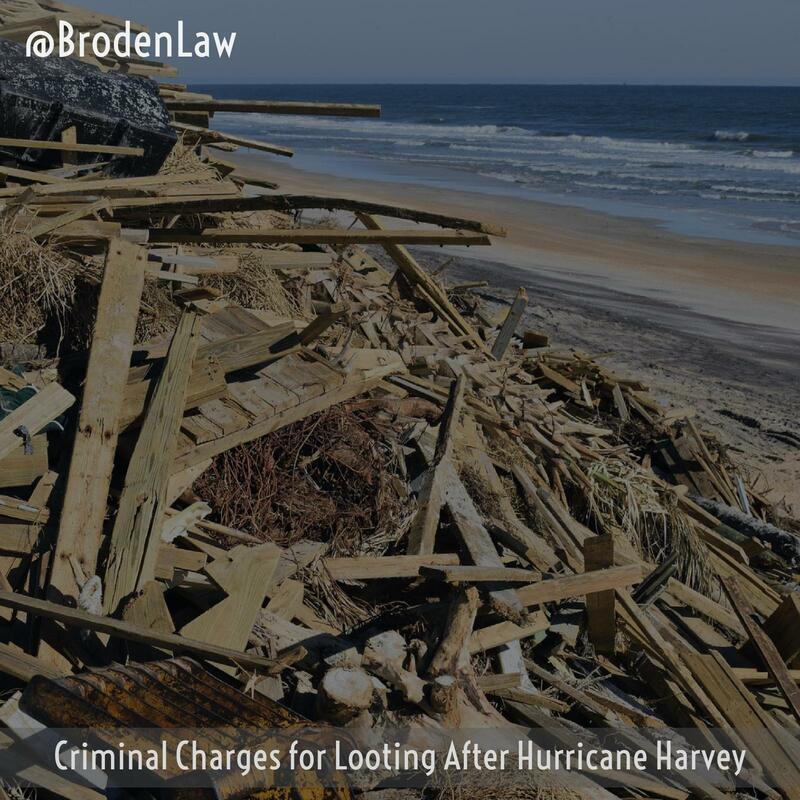 Anyone charged with a property theft crime following a natural disaster should speak with an experienced lawyer to discuss their options.